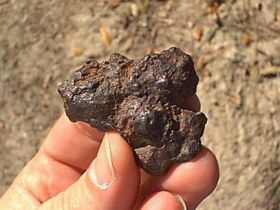 Meteorites are exciting to collect and trade, but some individuals are not content to simply satisfy their collecting desires by purchasing them from dealers. Some individuals actually go out and hunt meteorites. 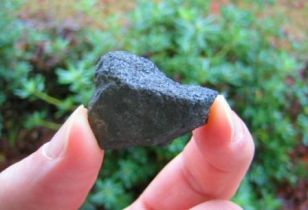 As well, some meteorites are found by accident, by individuals who never even think about meteorites. 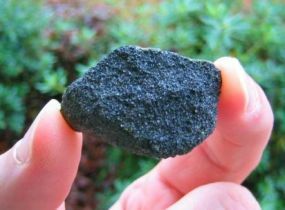 If you think you have found a meteorite and want to know if the rock really is a meteorite, follow the guidelines listed near the end of this page. 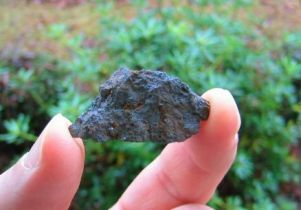 Independent, reputable laboratories are also at the end of this page and we suggest that you contact one of these labs about submitting a suspected meteorite for analysis. 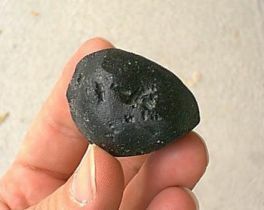 Correct Answer: The lower one is the tektite. The upper one is a piece of terrestrial obsidian. Here is one that is slightly harder (but not too hard). Which one of these objects is a stone meteorite? Correct Answer: The upper one is the meteorite. It is a 67 gram stone from Juanchang, China. The lower one is a piece of asphalt from the road. Now this one. . . Here is one that is harder than the others. Which one is the iron meteorite? Correct Answer: The upper one on is a piece of shrapnel from the Sikhote-Alin fall of 1947. The lower one is a piece of slag (interesting looking, but not a meteorite)! Now, take a look at the following four images. Which one is the real meteorite? What do you think? Nice fusion crust? Desert varnish? Gold Basin perhaps? Well, which is it (scroll down to see the answer)? Actually, none of these are meteorites! The first specimen is hematite (iron ore) from Ishpeming, Michigan. 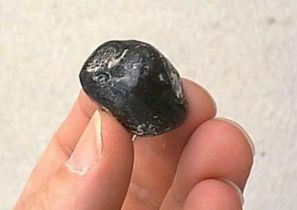 The second specimen is chromite from Red Lodge, Montana. 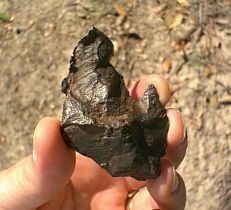 The third specimen magnetite (magnetic iron ore - not as common as hematite) from Llano, Texas. 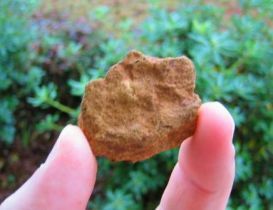 The fourth specimen is limonite (commonly found near the surface in iron ore deposites) from Daingerfield, Texas. 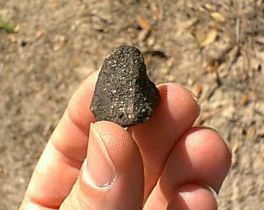 Remember, in the field you won't be comparing several finds and deciding which is the meteorite! If you suspect that you have a meteorite, first do some preliminary "analysis." Does it have a dark, oftentimes "glassy" fusion crust as an outer covering? Meteorites develop this crust as material is ablated off during passage through the Earth's atmosphere. The presence of such a crust-like material strongly indicates a meteorite, while the absence of a crust strongly indicates a meteor"wrong." However, it should be noted that meteoites found in the "hot deserts" usually do not exhibit a dark fusion crust, due to terrestrial weathering. Also, because of the iron content, the overwhelming majority of meteorites respond to a magnet (particularly if it is an iron meteorite!). 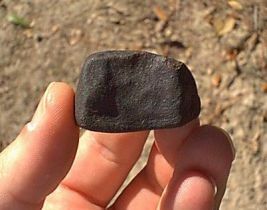 If there is no pull when a magnet is placed against the suspected stone, it probably is not a meteorite. As well, a true meteorite will be much heavier than a similiar sized terrestrial rock. Now, if the suspected stone passes the above tests, it might be a meteorite! IMCA does not have the facilities to test suspected meteorites but we would suggest that you contact one of the meteorite verification laboratories listed under Classifying Institutions. Note: Send only a small (walnut size - if possible) sample(s). Testing may take a month to a year depending upon the backlog of the facility.